A dump truck driver was charged with driving while intoxicated in Stratham, New Hampshire when he crashed his truck. His rig plowed through guardrails and signs, as he was trying to navigate around Stratham Traffic Circle, causing the vehicle to tip over onto its side spilling a load of sand on the roadway. The truck sustained damage, but the driver was able to climb out of a window without injury. There were no injuries caused in this crash. A DWI can have a monumental impact on a person’s life. Multiple penalties are possible, including steep fines, loss of your driver’s license, and jail time. Moreover, a DWI arrest can affect your livelihood by potentially putting your professional license, a license required for you to do your job, in jeopardy. A professional license, for a teacher, doctor, lawyer, or even a commercial driver may all be revoked if convicted of a DWI. There are several different types of professional licenses and New Hampshire laws to govern each one. A few types of professional licenses are discussed below. If a medical doctor receives a DWI conviction, it must be reported to the physician’s licensing board. Along with high fines, potential jail time, and the loss of your driver’s license, if you are a physician you can also face the suspension of your medical license, loss of employment, mandatory attendance in drug or alcohol recovery programs, and random drug and alcohol testing. Public employees, such as police officers, firefighters, and many others, can face restricted job duties, job suspension, or job loss altogether. Some crimes in New Hampshire, those considered to be immoral or crimes involving incompetent actions, can lead to automatic dismissal for teachers. However, there are many school districts in New Hampshire that do not require teachers to report DWI offenses if they occurred off-duty. Like the driver in the scenario above, if you have a CDL you can face grave penalties for a DWI conviction, especially one that takes place while working. For a first-time DWI offense, you could have up to a one-year revocation of your CDL. For a second offense, a three-year revocation and a third offense can result in the complete disqualification of your CDL license. CDL drivers have up to 30 days to request a hearing from the New Hampshire Department of Motor Vehicles to petition for a suspension reconsideration. “Was this the first offense? Second? The DWI attorneys at Tenn And Tenn, P.A. are experienced and thorough. They will help you prove to the proper licensing board that you are able to continue your professional duties. 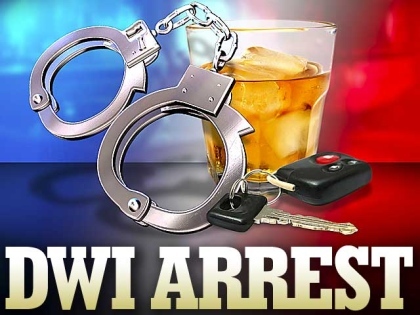 DWI defense lawyers at Tenn And Tenn work with you to secure the evidence needed to ensure the Board that it is not necessary to monitor or supervise your capacity to perform your professional duties after a DWI charge. Clearly, a DWI arrest can have a significant impact on your life and career. If you have been arrested for a DWI and worry that your professional license may come under review, contact Tenn And Tenn, P.A. to begin working on your case.